The Walmart 2018 Black Friday Sale Ad was released just recently, so if Walmart is on your list of stores for this year’s Black Friday event, better to plan ahead so that you’re coming out swinging in the deals arena when the store opens for deals at 6 p.m. Thanksgiving Day. You can also shop online hours earlier, starting Wednesday, 10 p.m. Eastern Time. Deals will be available through Friday, November 23 but keep in mind that stock is limited and the best of deals will sell lighting fast. Now that we got that out of the way, here are Walmart’s top deals that really pack a big punch this year. 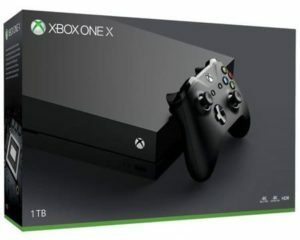 At $100 off previous pricing, the Xbox One X is a great offer in the gaming category and more so since other retailers, such as Target don’t have Xbox One X deals this year. In addition, Walmart is offering all other Xbox One X bundles at $70 off. You can also get the Nintendo Switch Bundle at $299.00, which is $0.99 cheaper than Target’s deal or the PlayStation 4 Slim 1TB with Spider-Man at $200. A highlighted iPhone deal that beats the competition by quite a discount, the $300 gift card offer is provided by Walmart for the iPhone XS, iPhone XS Max and iPhone XR with qualifying activation. 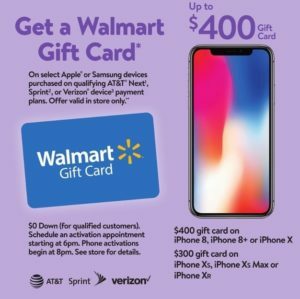 What’s more, Walmart are also providing a $400 gift card for the iPhone 8, iPhone 8+ and the iPhone X with qualifying activation. This is one of the best television deals this year for the price of $398 only. 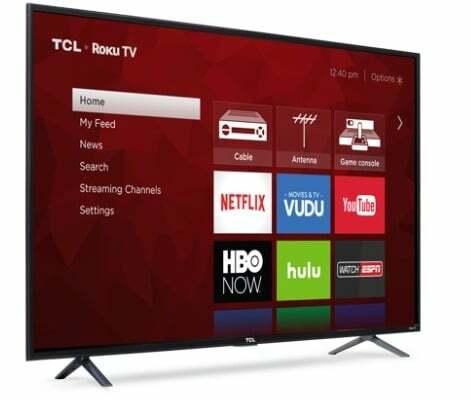 A big screen television with smart features and good image quality, this TCL model is the least expensive and it represents an excellent budget-friendly choice. You can definitely consider making this a purchase if you put high priority on convenient pricing and good quality. Other televisions that Walmart are selling includes the 40-inch Hisense 1080p for $99, making this the cheapest 40-inch TV ever and the Samsung 55-inch Class 4K Smart TV. Bose being one of the most trusted and respected brands in the industry of audio speakers and headphones, Walmart is providing a good $50 discount for a model of Bose wireless headphones that are reviewed as a most comfortable sports headphone and one of the best. Not many retailers have deals for Bose products this Black Friday, so know that Walmart is your best bet when it comes to name brand sports headphones that you can buy at a noticeable discount. 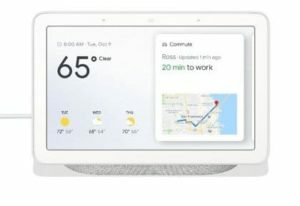 The Google Home Hub is a useful gadget and a great tool for a smart home, and it comes at 33% off in the Walmart 2018 Black Friday ad. Other buying guides: Best Target Black Friday Deals. Google Home Hub is handy when you want to watch videos while cooking, plus you can set a timer to count until or from an event, create a shopping list and perform other similar tasks. It’s a really cool gadget to have in the kitchen. Walmart will be kicking off in-store Black Friday parties around 4 p.m. Thanksgiving Day offering free coffee and cookies to shoppers. Because they want to allow customers to shop earlier and more efficiently this year online and in stores, they will have provide new technology such as mobile checkout and maps to speed things up. It’s expected to be a great holiday season this year at Walmart.